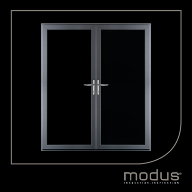 Eurocell is extending their range of bi-fold doors with the launch of StudioGlideTM, a breakthrough aluminium bi-fold system that promises minimal sightlines, maximum performance and unlimited flexibility. 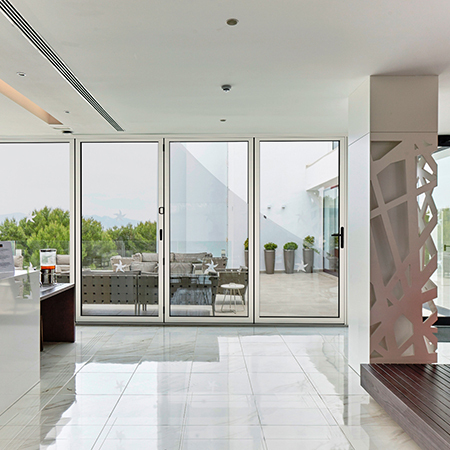 Developed for both residential and commercial projects, StudioGlide will fit any aperture because it is scaleable to frame heights of up to 2.5m and widths of up to 6.5m. 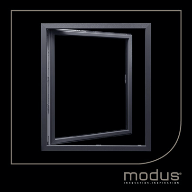 Individual sashes of 1.2m wide can be assembled in multiple configurations of up to seven sashes with the choice of inward or outward opening doors. 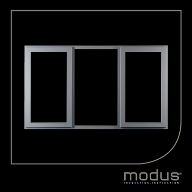 Comfort – and lower heating bills – are assured by high-specification energy efficient glass and a thermal break in the frame that reduces heat loss so that StudioGlide can achieve U-values as low as 1.6W/m2k for double glazing and 1.3 W/m2k for triple glazing. 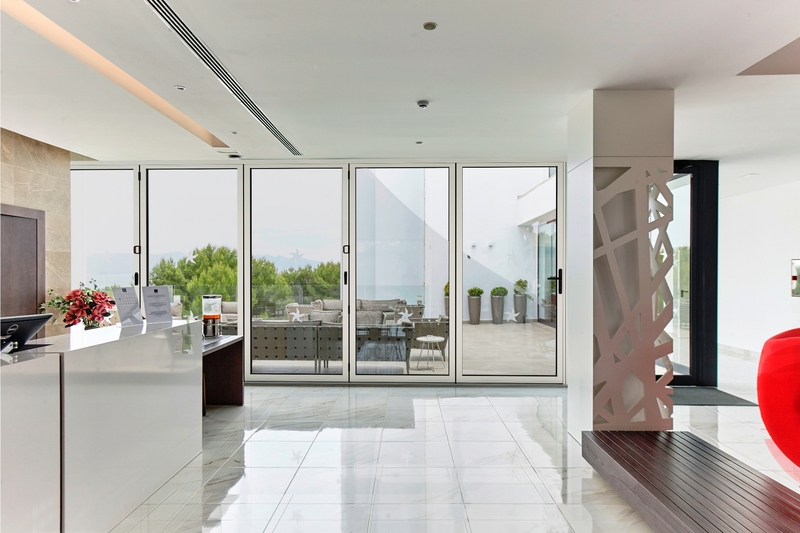 Security is not sacrificed for style, despite the ‘glass wall’ appearance, as StudioGlide comes with full PAS 24 accreditation and is glazed from the inside for increased security, using bespoke gaskets to get the best possible seal against the weather. 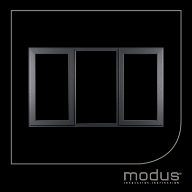 Frames are available in a range of classic colours, complemented by shoot bolt and door handles in a wide choice of colours and finishes, including colour matched handles and magnetic door holders. 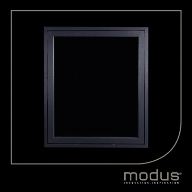 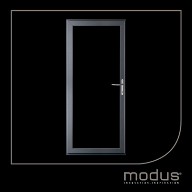 Doors can open in or out using the same profiles and there is the option for external access on any configuration to make planning and installation simpler. 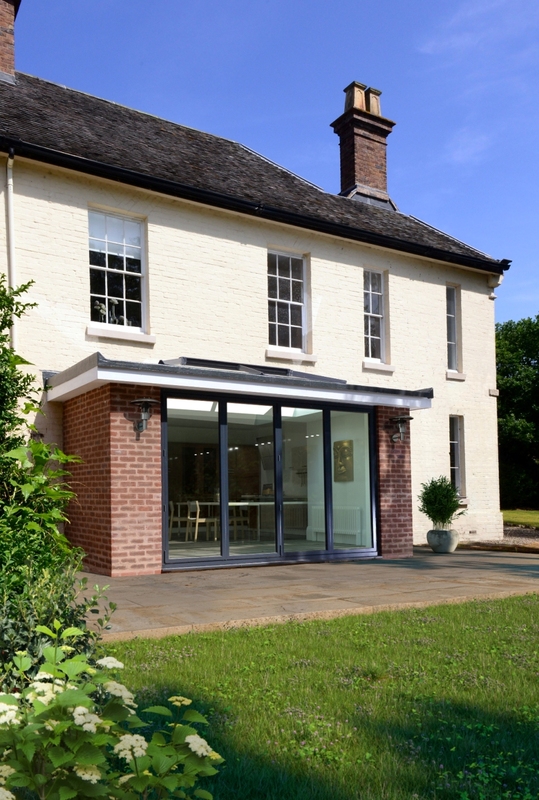 A choice of a ‘fully weathered’ threshold for external use or a ‘low level’ threshold for room dividers is offered and both come complete with integral locks while an adjustable jamb enables the fine tuning needed for the perfect fit. 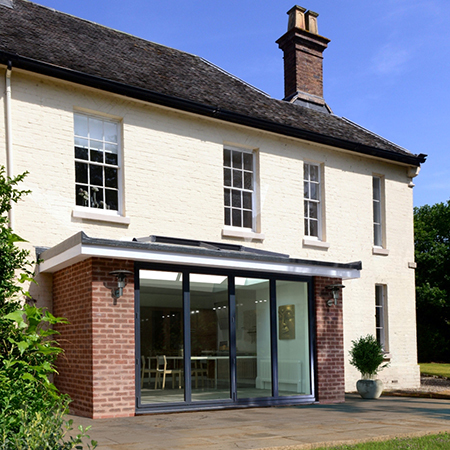 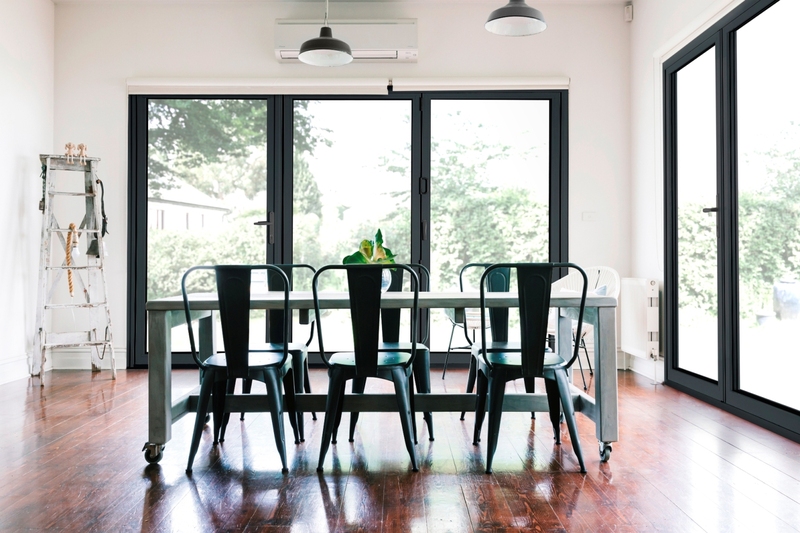 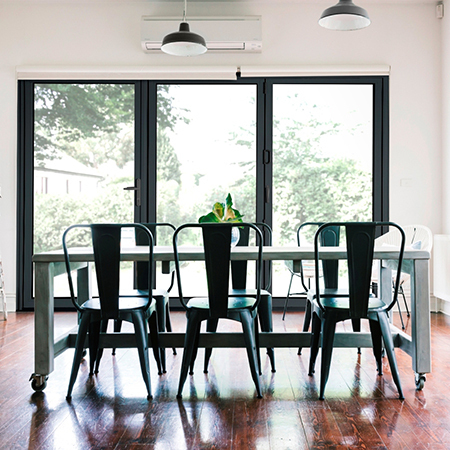 Easily fabricated and quick to install, StudioGlide is a product that’s built to last so both the bi-fold door profiles and the door furniture are guaranteed for ten years.